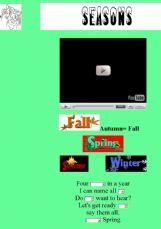 An exercise about seasons for pre-readers. 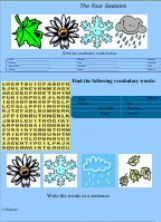 Learning the seasons worksheet and useful vocabulary and phrases to write a short essay about a favourite season. 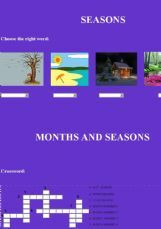 A simple vocabulary exersise about season�s names. 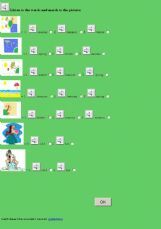 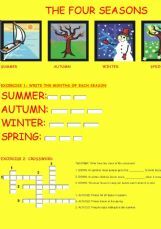 Use this to help your kids know months, seasons, and days of the week through fun activities. 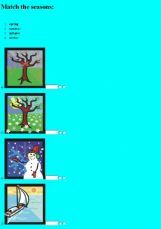 A very simple activity to review seasons and months with your students.